From master filmmaker Alexander Sokurov, the director of Russian Ark, comes the powerful story of how precious artworks from the Louvre were saved during WW2 occupied Paris. FRANCOFONIA is the story of two remarkable men, Louvre director Jacques Jaujard and Nazi Occupation officer Count Franziskus Wolff-Metternich - enemies then collaborators - whose alliance would be the driving force behind the preservation of museum treasures. 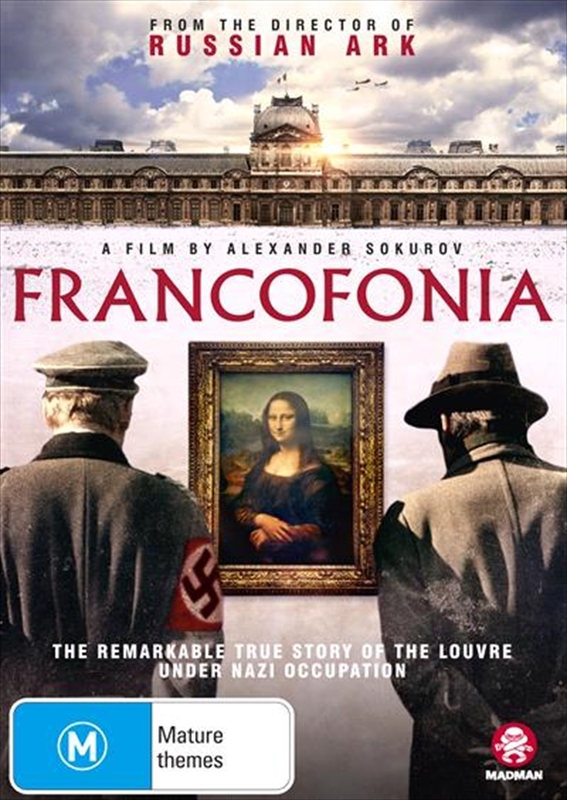 FRANCOFONIA explores the relationship between art and power, the Louvre museum as a living example of civilization, and what art tells us about ourselves even in the midst of one of the bloodiest conflicts the world has ever seen.